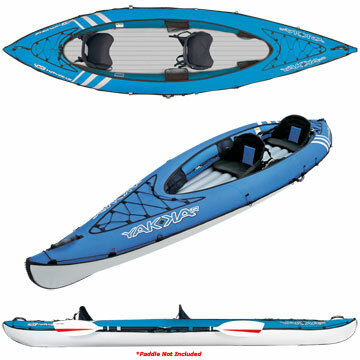 BIC Sport Yakkair Lite 2 Tandem Inflatable Kayak - Designed for double-the-fun paddling on the go, the YAKKAir Lite Two tandem inflatable kayak is well suited for two person play. 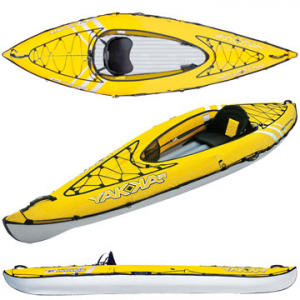 Aimed at beginners and occasional paddlers, the YAKKAir is stable, sturdy and lightweight. 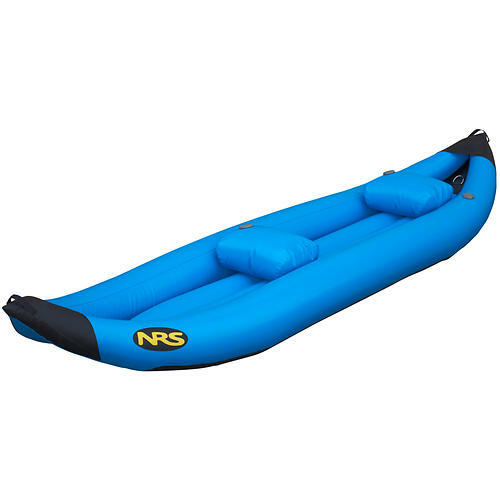 Ideally suited to lakes, bays and quiet rivers, rigid stiffeners fitted inside the stern and bow tips give an excellent cutting edge through the water. 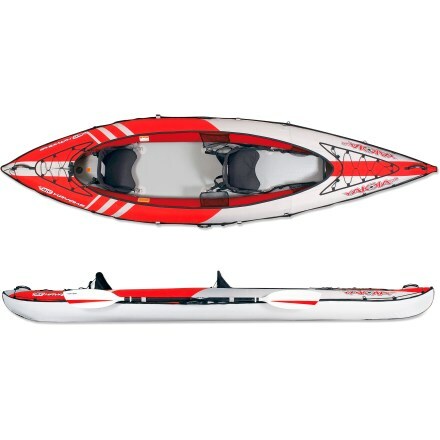 Adjustable seats can be configured for either solo or two-person paddling. 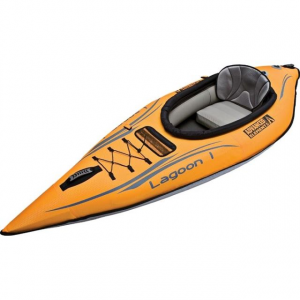 The YAKKAir Lite easily inflates using the included pump with pressure gauge. Folded down into its deluxe carry bag, the YAKKAir Lite is easy to carry and store. Bow and stern deck rigging and mesh storage pockets give you plenty of room for lunch and spare clothes. 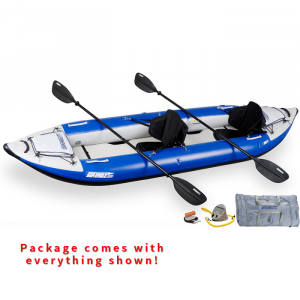 Whether traveling by car, train, or plane, the BIC Sport YAKKAir Lite Two tandem inflatable kayak is ready to paddle when you are. 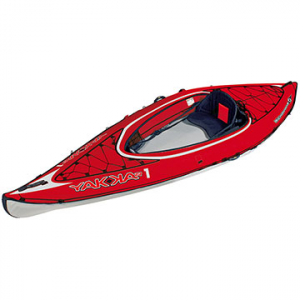 The BIC Sport Yakkair Lite 2 Tandem is not available from the stores we monitor. It was last seen November 19, 2016	at Outdoorplay.